Although quite durable and long lasting there are a large variety of issues ,big and small, that can arise while utilizing a water well pump system to supply water. We do everything in our power while installing new pump systems and servicing existing pump systems to avoid or correct any issues that could be a potential problem. 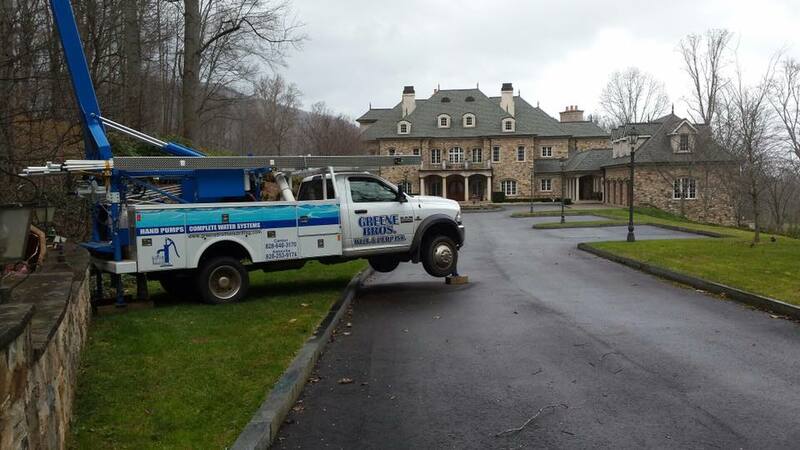 However unforeseen problems can occur and our service trucks are always fully prepared to solve and repair these issues when they leave the office to go to their daily service calls. Also the excellent communication that we strive to uphold always allows us to complete the jobs to the highest quality and satisfaction of our customers specific needs. Our service technicians are licensed through the state of North Carolina and are well trained and capable of solving any issues a pump system may display. There are many steps to take in order to discover the exact issue that is plaguing a pump system and with the training that our technicians have received they are able to go through these steps and determine which component of the pump system is malfunctioning and resolve the issue quickly and efficiently.